Medet Tiulegenov is an Assistant Professor and a chair of the International and Comparative Politics Department of American University of Central Asia (Bishkek, Kyrgyzstan). His research and teaching interests include contentious politics, public policy and civil society in transition countries, identity and normative politics. 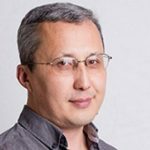 Until 2008 Medet has been working at Soros Foundation in Kyrgyzstan and prior to that he was a research fellow at the National Academy of Sciences and Kyrgyz National University. He graduated in history from Kyrgyz State University (1993), received Master of Public Administration from Bowling Green State University, USA (1996) and currently is a PhD Candidate in Political Science at Central European University, Hungary.